Trade any item with red, green and blue sockets linked together. This is the most commonly used vendor recipe in PoE. During leveling your every visit to town should result in you getting 2-3 Chromatic Orbs. Trade gems with combined quality of 40% or a single gem with 20% quality. Keep in mind that each combination of gems has to be with at least 40% of quality. If you have gems with a total quality of 80% , but first group has 42% while the other only 38% , you will only receive 1 Gemcuttter's Prism in the trade. The best solution is to always group gems into exactly 40% quality packs, so that you don't loose this extra percents on each trade. Vendor any item with 6 sockets. If the sockets are linked together it's not advised to vendor it at all, however then it would grant a Divine Orb instead. Trade maps with a combined quality of 40% or a single map with 20% quality. This is usually used by players that have already reached end-game content (mid/high tier maps and bosses), when you are no longer interested in clearing the white low-level maps. The recipe however makes collecting any quality map worth it. Trade any map and a 20% quality Stone Hammer, Rock Breaker or Gavel (any rarity). This is one of the most profitable recipes that most players may be unaware it even exists. Trade flasks with a combined quality of 40% or a single flask with 20% quality. Glassblower's Bauble are not exactly the most sought-after orb in Path of Exile, but this recipe may still grant some extra profits for PoE's newcomers. There are 3 known recipes that grant the Orb of Chance. Also known as the "full rare item set recipe". 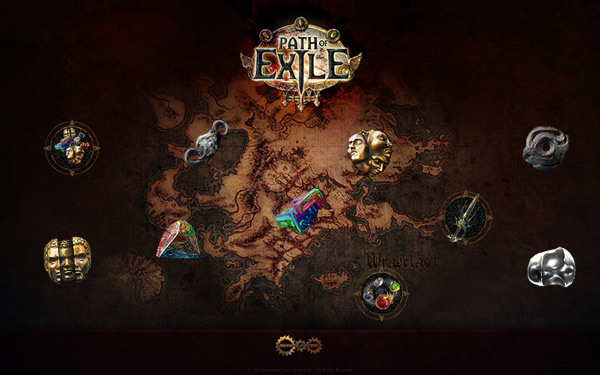 It is the most profitable recipe in Path of Exile. Some fast map clearing builds like Spark Templar or Frostblades Raider may earn over 100 PoE Chaos Orb per day using just this recipe (plus all the directly looted orbs and items). It is also advised to trade only unidentified items in this recipe for double Chaos Orb reward. Way under 1% of all rare items you come across will be actually worth 1 Chaos Orb or above, and the most expensive ones are usually crafted anyway.